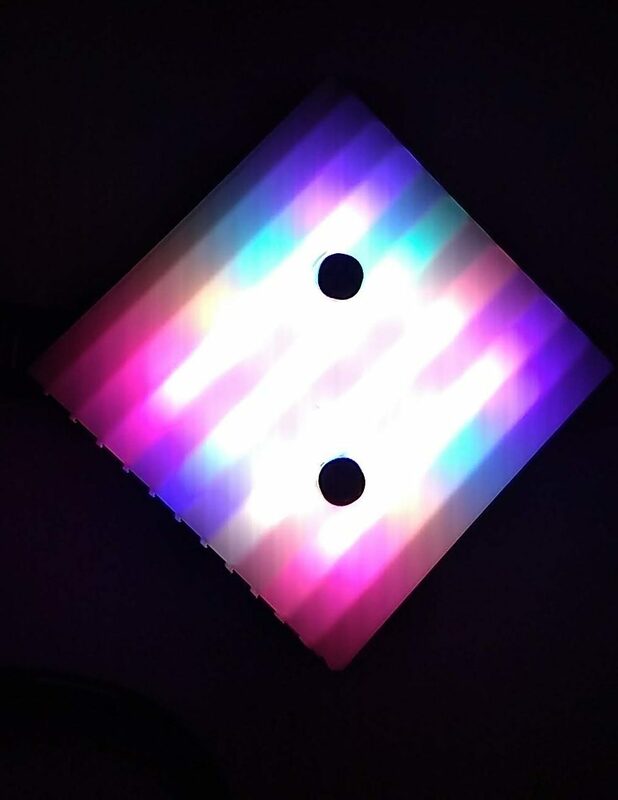 In this class we’ll show you how to program a 16-pixel grid of color-changing LEDs (WS2812B / Neopixels), with the Arduino platform. Using the included class materials, we’ll start by assembling an LED box from parts. This will be accompanied by an explanation of soldering techniques, strain relief for wiring, and light diffusion. We’ll then learn how to install the Arduino software and the FastLED library on our computers. We’ll configure the software to talk to different Arduino boards, and load several color changing patterns. At the end of the class, you’ll have your very own pocket-sized glowing LED jewel, to take home and play with! NOTE: Students are encouraged to bring their laptops from home and install the Arduino software and the FastLED library. Lighting creates environments – it is the backdrop for everything that happens in a space. Jeff Matson has been creating light art for over a decade – starting with video projection, then expanding into the world of programmable lighting and LEDs. Over that time he worked with a broad range of controllers (Trinket, Gemma, Teensy, Pro Micro, Nano, PixelPusher, FadeCandy, PixelBlaze), made plenty of mistakes, and learned a ton. Eventually, he realized that he had gained enough knowledge to start sharing it. His goal with this class is to help demystify the process of working with LEDs, so others can have as much fun with it as he does.